The Crudo - oil comes the baresic depression and is gotten Cultivar Ogliarola olives. This oil is golden brown luminous colour and distinguishes itself with his fruity aroma. His taste is deliciously mild, typically for a freshly pressed oil, with a almond aftertaste and a light final prickle. On grounds of his properties and his round, full and mild taste it is also estimated by the most demanding palate. Crudo is an oil of top quality, tasty, easily and well digestible. It is suited thanks to its superb qualities also to bake and roast and gives) to all dishes that particular taste which only one high-quality oil can give. Nut Liqueur Nusseler Pircher South Tyrol 70 cl. matured for 3 years in different wood barrels. A lively dressing, highly recommended for everyday use. 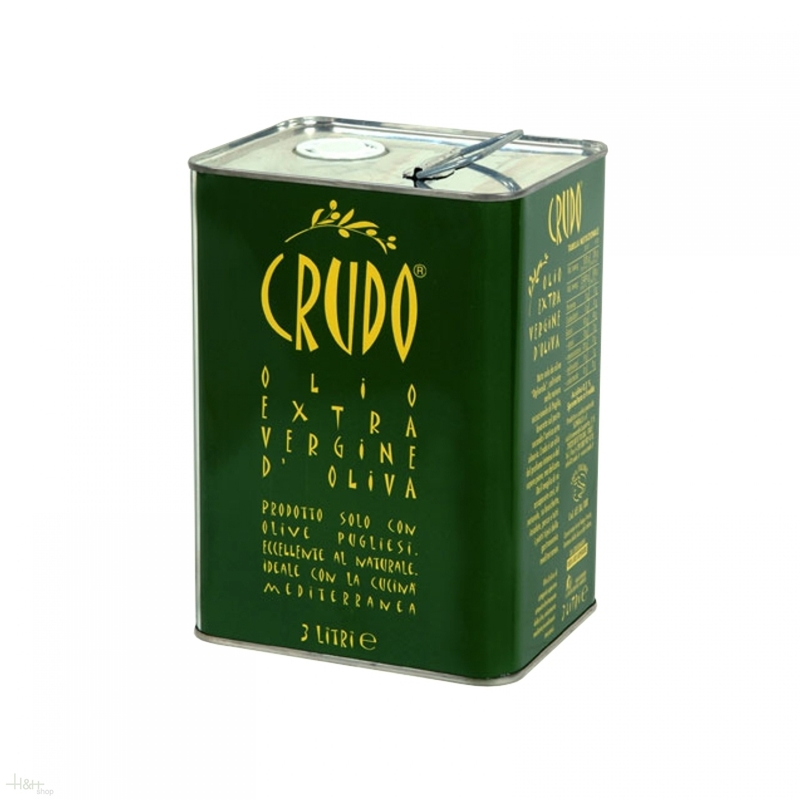 Olive oil extra virgin Integral Redoro Frantoi 1 lt. 16,55 EUR / 16,55 €/lt. Grape-seed oil Oliovite Oliovite 0,75 lt. - Oleificio Benvolio 1938 6,00 EUR / 8,00 €/lt. Extra Virgin Olive Oil San Felice 1 lt. - Bonamini Veneto 17,50 EUR / 17,50 €/lt. Extra Virgin Olive Oil San Felice 5 lt. - Bonamini Veneto 79,10 EUR / 15,82 €/lt. Olive oil extra Virgin Selezione 1 lt. - Oleificio Polla Nicolo' 19,35 EUR / 19,35 €/lt. Extra Virgin Olive Oil San Felice 500 ml. - Bonamini Veneto 9,15 EUR / 18,30 €/lt. Olivenöl Aubocassa 50 cl. - Bodegas Roda 26,13 EUR / 52,26 €/lt. Taggiasca olives seedless in olive oil 180 gr. - La Baita 11,25 EUR / 6,25 €/100 gr. Green Olives Marinated 314 ml. - L'Orto di Beppe 6,60 EUR / 2,10 €/100 ml. Olive oil extra Nativ 500 ml. - Petralia Oleificio 12,55 EUR / 25,10 €/lt. Green Olives with Lemon 314 ml. - L'Orto di Beppe 5,30 EUR / 1,69 €/100 ml. Good olive oil, much better than those being sold in Russia ..